Provide a clear statement of the obligations and responsibilities, required of the University by the Ontario Human Rights Code (OHRC), the Accessibility for Ontarians with Disabilities Act (AODA), and any other relevant legislation, and inherent in the University accommodation procedures. The duty to accommodate refers to the university’s obligation to take reasonable steps to the point of undue hardship, to adjust or modify the work environment or the method of doing work in order to address the individual needs of employees and job applicants who are protected from discrimination under the OHRC. Individuals requesting accommodation are involved and included in the development of accommodation measures to address their need; likewise they have the responsibility to communicate any known accommodation needs and to cooperate with and participate actively in the accommodation process. Employment accommodation is an ongoing process of adjusting or modifying the work environment, schedule or the method of doing work in order to address the individual needs of employees and job applicants who are protected from discrimination under the OHRC. Employment accommodation for persons with disabilities is the most common. Family status is another ground for which accommodation is requested. Family status means the state of being in a parent-child relationship. This can also mean a parent and child relationship that is based on care, responsibility and commitment. An example would be parents caring for children, or caring for aging parents. Creed is a prohibited ground of discrimination under the Ontario Human Rights Code. Although it is not defined in the Code, creed has been interpreted to include religious creed” or “religion.” While it is not possible to define these terms precisely, religion typically involves a particular and comprehensive system of faith and worship. Religion also tends to involve the belief in the divine, superhuman or controlling power. In essence, religion is about freely and deeply held personal convictions or beliefs connected to an individual’s spiritual faith and integrally linked to one’s self-definition and spiritual fulfilment. It is equitable that people who celebrate religious holidays which conflict with their regular work schedule be allowed to take time off for their religious observance. Is a particular and comprehensive, overarching system of belief that governs one’s conduct and practices. 1 See Ontario Human Rights Commission’s Policy on preventing discrimination based on creed. Accessibility is a term used to describe a product, device, service, or environment which is available to as many people as possible. Accessibility is concerned with inclusiveness and barrier-free designs (the identification, removal, and prevention of barrier). Accessibility can be viewed as a person’s access to and benefit from a system or entity in a way that upholds the principles of dignity, independence, integration and equality of opportunity. Barrier means anything that prevents any person with a disability from fully participating in all aspects of society because of their disability, including, but not limited to; physical barriers, architectural barriers, information or communications barriers, attitudinal barriers, technological barriers, or policies and procedures that inadvertently pose barriers. 3.00 The policy applies to all employees and job applicants for employment requiring accommodation. 4.00 Wilfrid Laurier University will provide reasonable accommodation to employees to enable to them to perform the essential duties of their position, or an alternate position that may be available that the employee is able and qualified to perform. 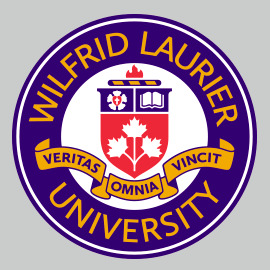 Wilfrid Laurier University will support the accommodation of employees and job applicants in a manner which respects dignity, is equitable, individualized and provides for the ability to compete for jobs, perform work and fully participate in employment. To accomplish this goal, the university will work to achieve a workplace free of barriers by providing reasonable accommodations for the needs of those individuals covered by the OHRC, up to the point where it causes undue hardship. Every effort will be made such that the impact of accommodation will not discriminate against another group protected by the Code or any Health and Safety regulations. All reasonable accommodation requests will be taken into consideration. Where there are alternate ways to provide accommodation without incurring undue hardship, the university reserves the right to accommodate in the manner most consistent with the university’s operational and academic requirements. a) Individualization: designing accommodation to meet the specific circumstances of each employee or job applicant. b) Partnership: involving the person requiring the accommodation, administrators and managers of the university, unions and any medical practitioners or other third parties with specialized expertise. c) Consultation: involving those in the partnership in development of the accommodation plan. d) Inclusion: ensuring that the person to be accommodated is involved in the process and plan design. e) Respect for confidentiality and dignity. f) Written accommodation plans: in cases involving disability accommodation, written accommodation plans will be developed in accordance with the requirements under the Accessibility for Ontarians with Disabilities Act.